Dedication to excellence in property management and a passion for achieving good results all-round is why Marie McMenemy has enjoyed longevity and success in her property management career. Marie joined the Jeff Jones Real Estate team as a property manager back in 1982 and today she not only leads their property management team – she is also a Partner at the firm. “I inspire my team to go above and beyond when it comes to communication with all of our clients, because communication is what really makes a property management experience positive,” says Marie. 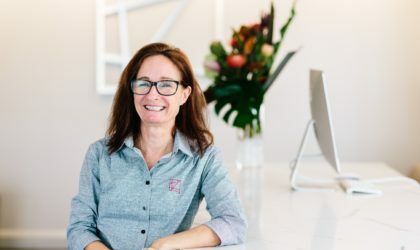 Marie and her team get the job done, they embrace new technologies and approaches to deliver a positive customer experience and combined with Marie’s expertise in property management and knowledge of the Inner Brisbane area, it’s a winning formula! Many property management companies have come and gone since Marie started back in 1982, but Marie’s dedication to excellence in property management, and her willingness to embrace change, is why she is one of the city’s most highly sought after property managers. The prompt result of the letting and approved tenants for my Morningside investment property is evidence of the quality work done by the Jeff Jones Real Estate team.